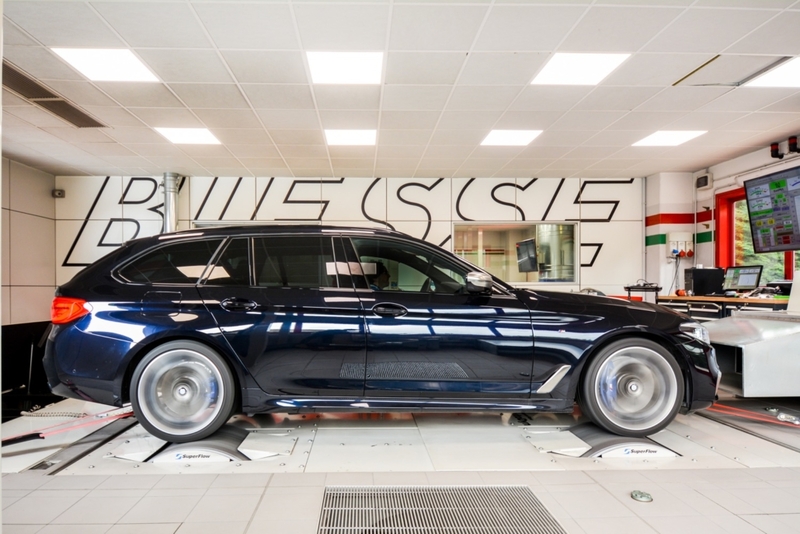 With the recent roll out of the new 3 series G20/21 BMW almost completed the update of all models of the range. 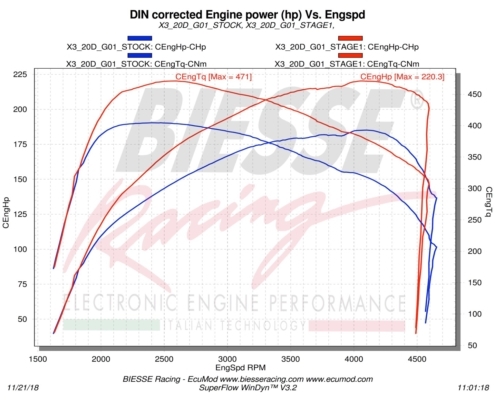 In this article we would like to summarize the newest ECU tune added to our product list, starting from one of the most popular BMW engine, the 20d 190hp. 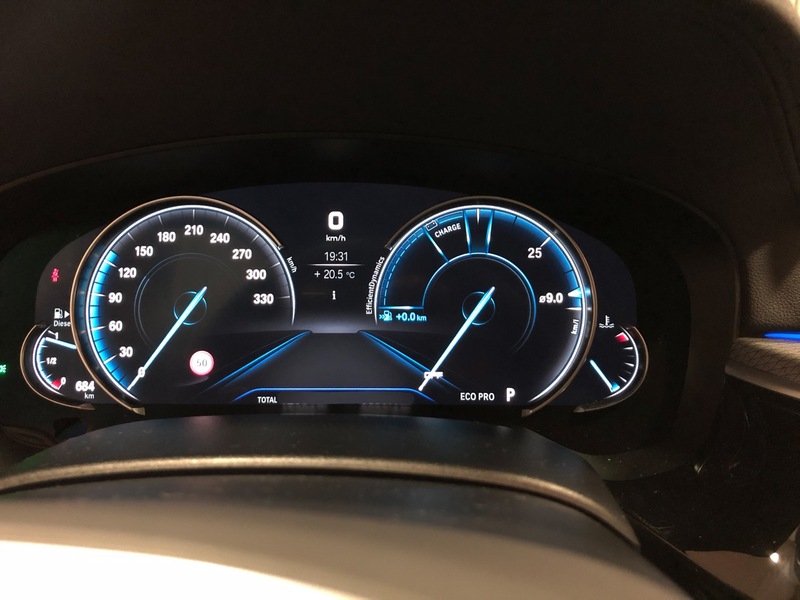 The software development on the 20d B47 was conduct on the X3 G01 with target of matching the same results of the previous versions fitting EDC17 ECU. 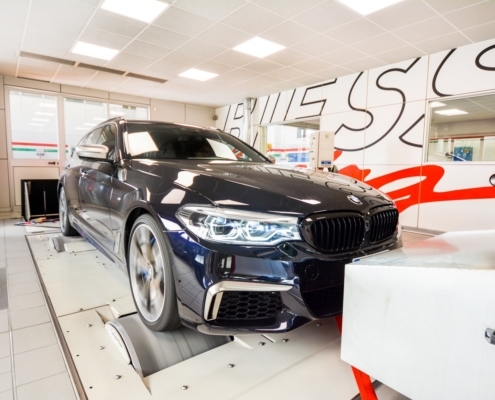 The goal has been achieved notwithstanding the restrictive antipollution system of the new cars, with over 220hp and 470Nm the performance improvement is extremely noticeable. 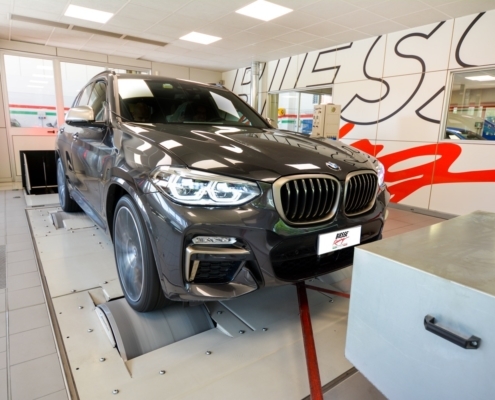 Going up with capacity we now present the ECU Stage1 and the Stage1+ for the top of the range of diesel engines, the outstanding 4 turbo 2993cc of the M550d. 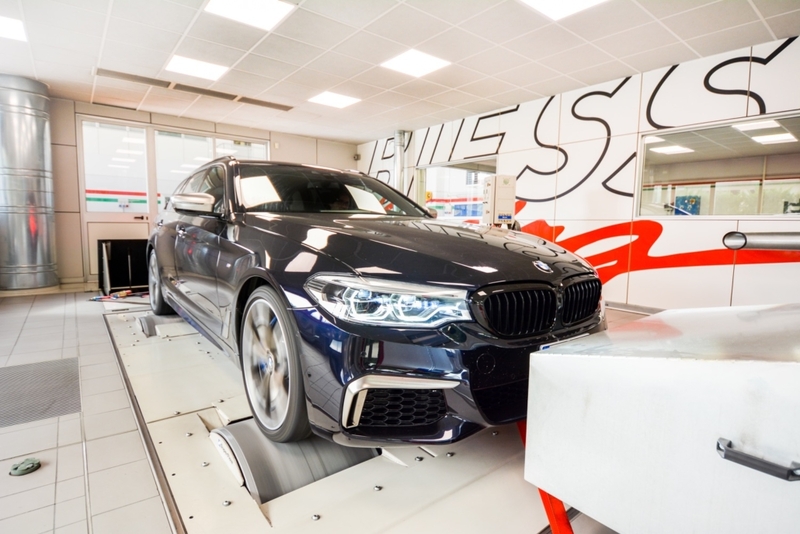 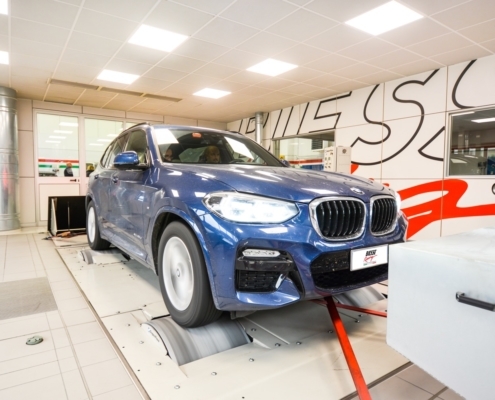 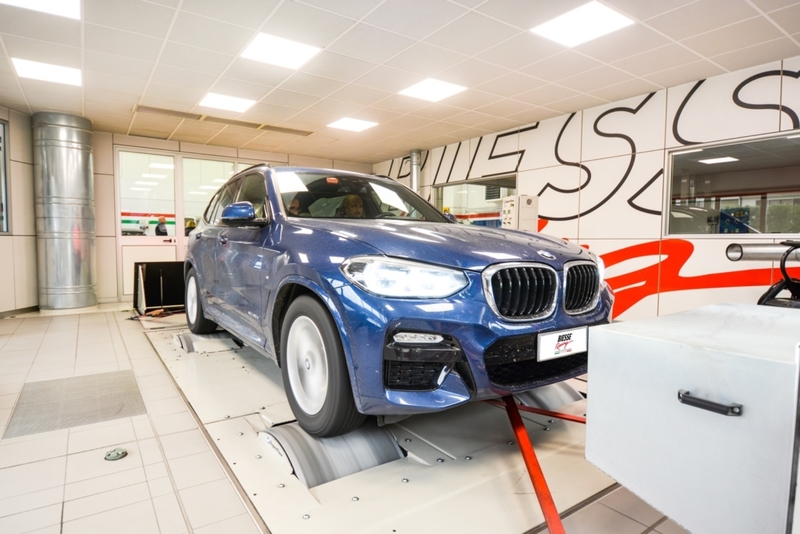 The stock car not only match the power declared by the factory but overcomes it generously: 415hp and 760Nm tested on dyno with the full stock car. 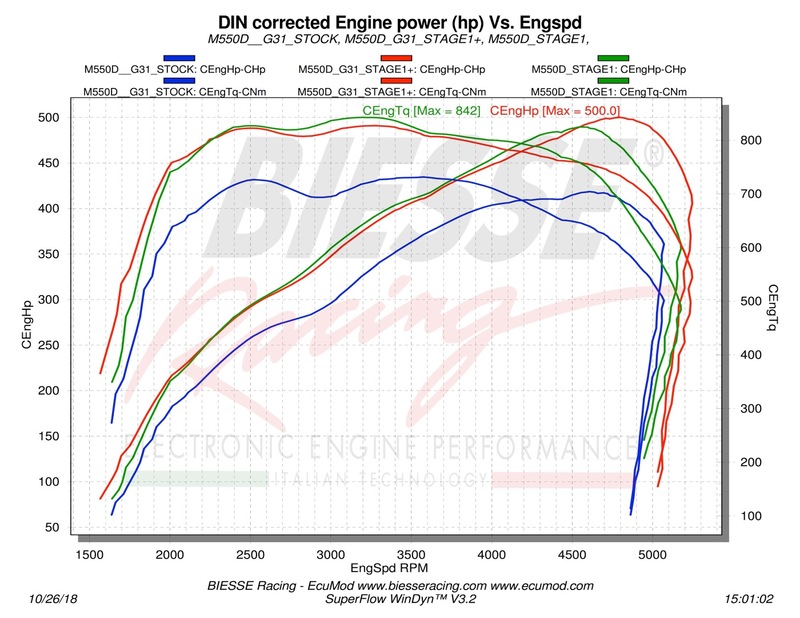 After many test we ended up with a Stage1 calibration which make the car capable of 489hp and 842Nm of torque. 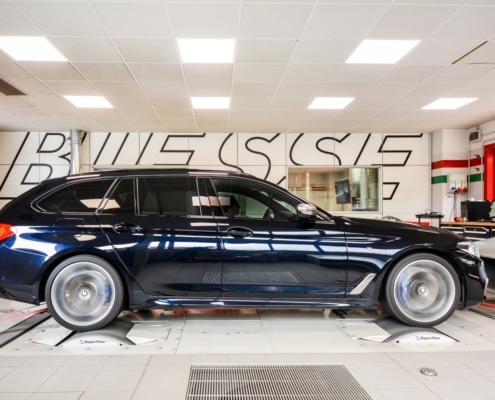 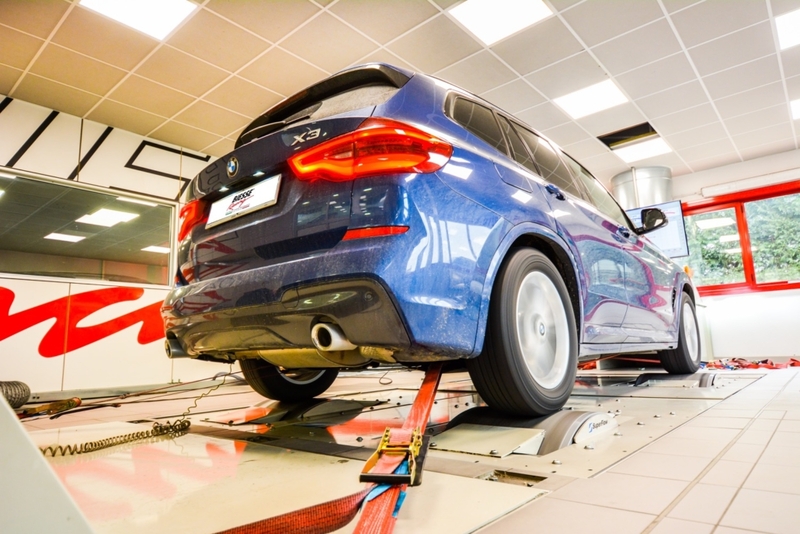 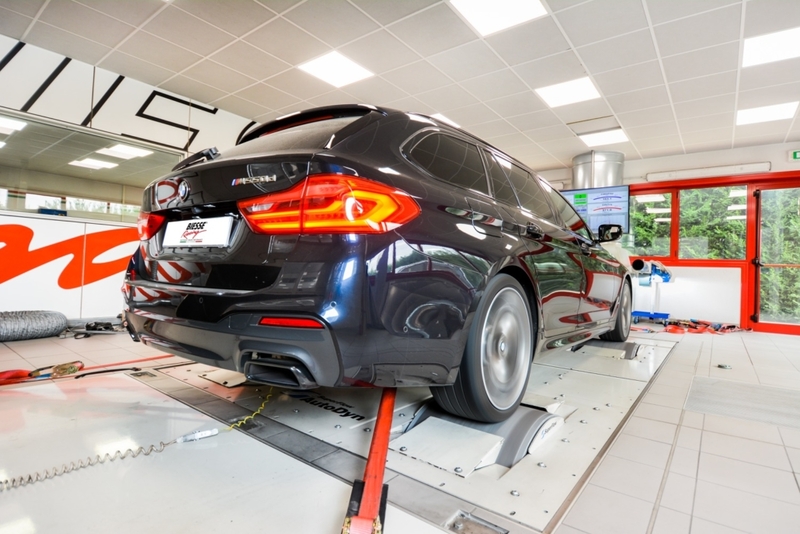 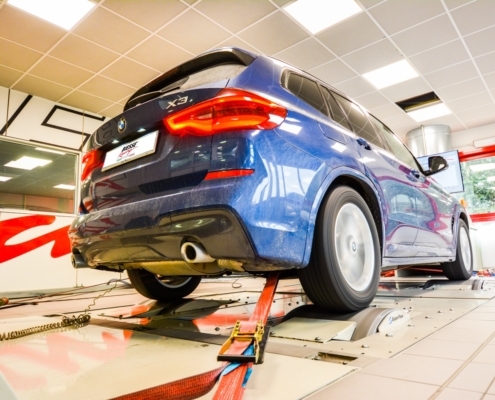 The tune makes this big car so fast that to really exploit its potential we immediately wanted to test the acceleration using RaceLogic GPS tool. 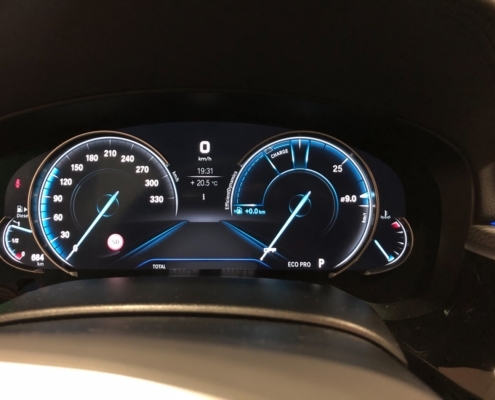 The tuned car takes just 4 seconds dead to reach 100 km/h. 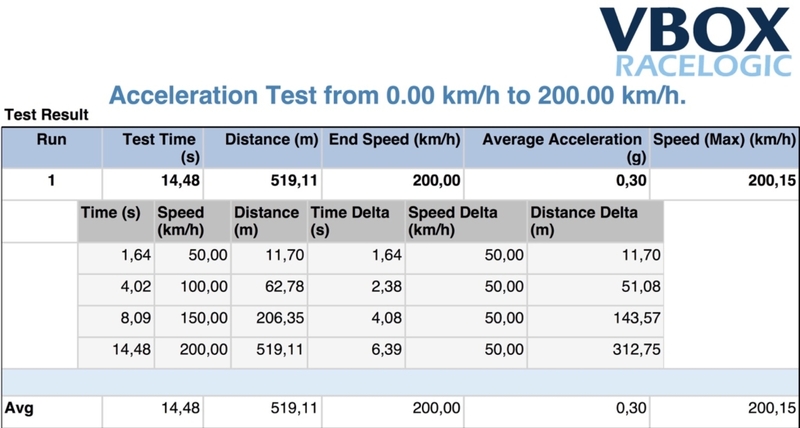 The most interesting time is the 100-200 km/h split: 10,5″, so it is 3″ faster than the stock car from 100-200 km/h. 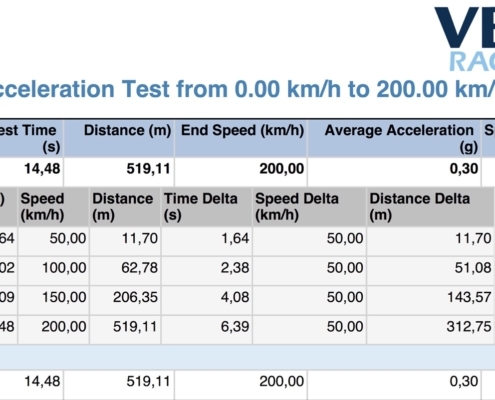 The top speed is now over 300 km/h after the speed limiter deactivation. 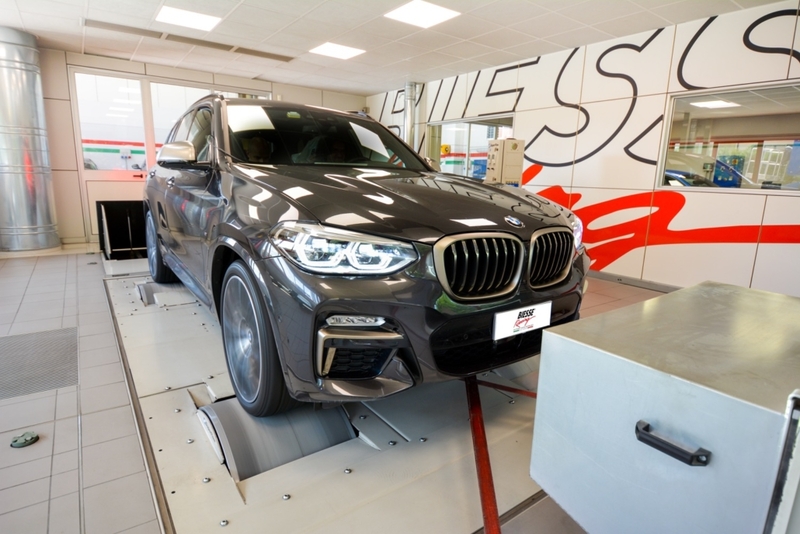 For the very competitive ones we also provide a special tune (under request and signing a disclaimer) called Stage1+ that unleash the full potential of the engine. 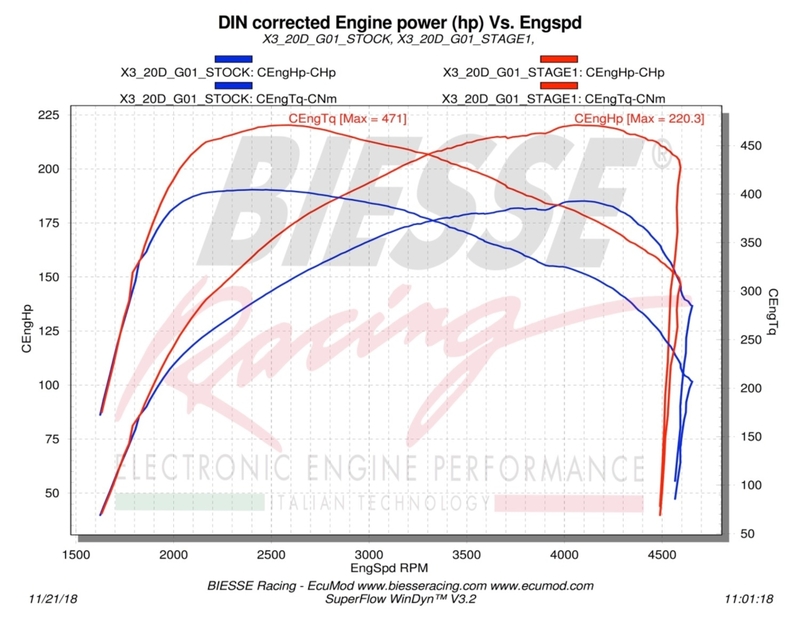 The torque remains the same but the power rise to 500hp. 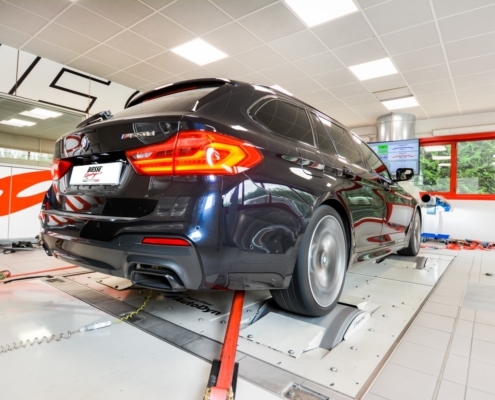 The tune can be purchased world wide with our remote installation using the BIESSE Flasher.